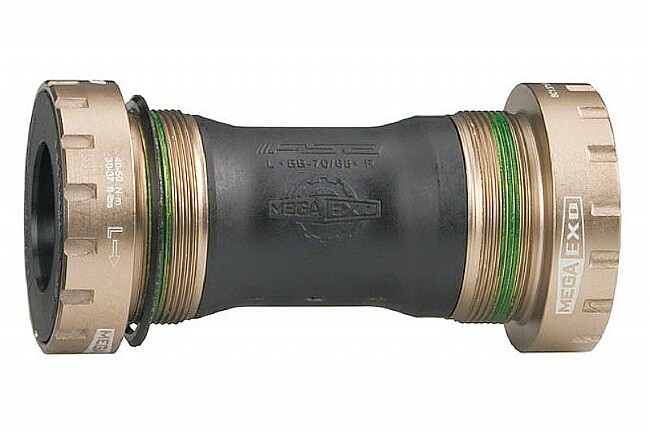 Compatible with pre-2014 Gossamer and Energy cranksets, FSA’s BB-6000 MegaExo Bottom Bracket features a shell width of 68mm and a MegaExo spindle interface. For durability and efficacy, this bottom bracket is made of forged alloy with CNC machined external cups and stainless bearings. The product is a direct replacement for the original B.B. it fit perfectly and was easy to install. Nothing fancy. Perfect fit. Pedals smoothly now.